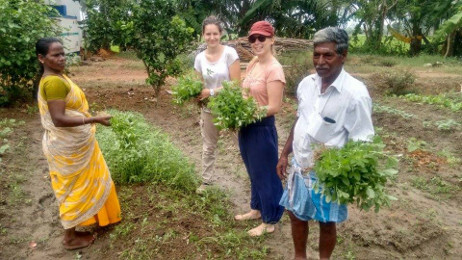 For a second year around, we have received volunteers from an agricultural university in the South of France, Ecole d’Ingénieurs de PURPAN in Sharana this September. 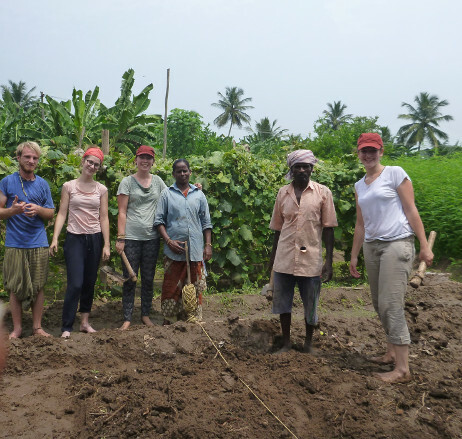 For three months, 4 volunteers will work alongside the Sharana team in green initiatives. 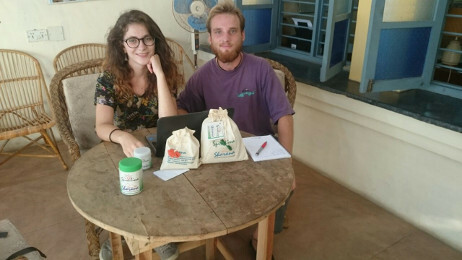 While Marion and Clemence are helping with the creation and maintenance of an organic kitchen garden, Vincent and Estelle are conducting surveys to understand the public’s knowledge and awareness about Sharana’s Spirulina program, before the project’s relaunch scheduled in early 2017. Alongside they are also involved in giving our packaging a face-lift. 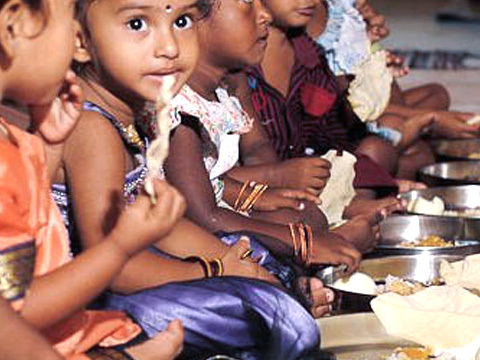 Sharana focuses immensely on the children’s health and nutrition. 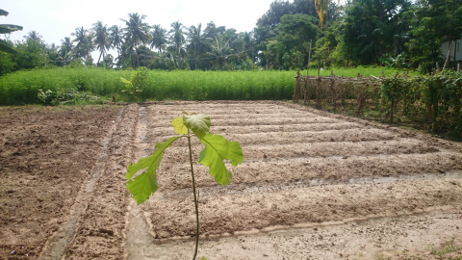 The kitchen garden will allow us eventually, in 2-3 years, to be able to grow most vegetables in our own kitchen garden all year around, to feed the children in all Sharana programs. 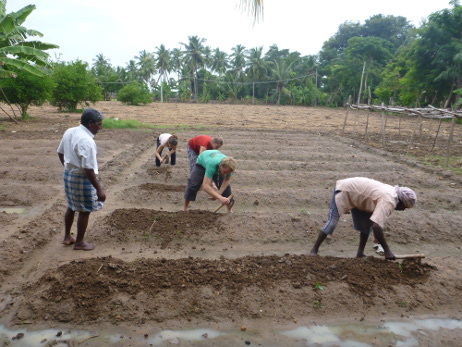 Keeping this in mind the 4 volunteers, alongside the local workers in Aranganur have worked relentlessly. 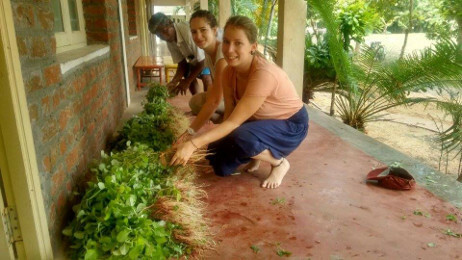 Last week, Marion and Clemence harvested over 30 bundles of greens which were distributed in all the kitchens of Sharana. The greens were fresh and lush; the cooks of all the kitchens were overjoyed at the result and are looking forward to having more very soon. 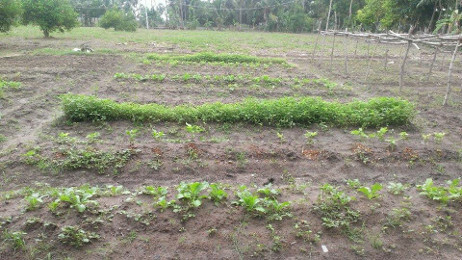 The garden includes radish, gourds, and several other vegetables. 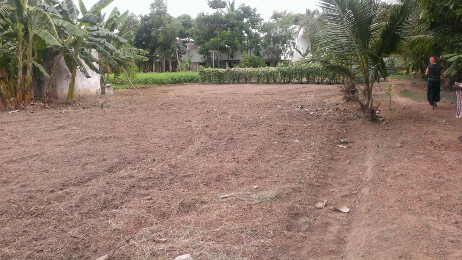 In the coming weeks, lemon trees and chilies will also be planted.- a nursery will also be created for delicate plants which cannot be planted directly into the ground. 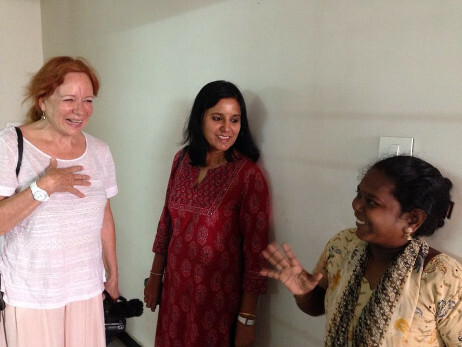 The Spirulina program has always been close to Sharana’s heart. 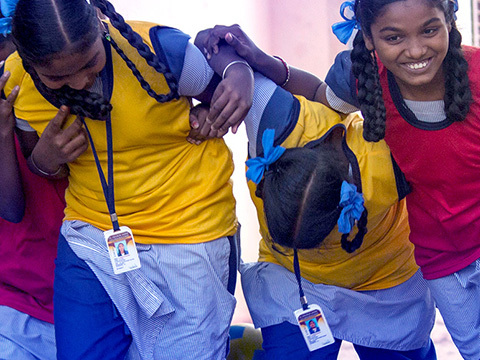 The aim is as before, to distribute Spirulina free of cost to children with nutrition deficits in the programs of Sharana. However this time around we are trying to ensure enough sales of the product to ensure a profit to be able to pay for the salaries, buy nutriments and cater to other costs of the program. 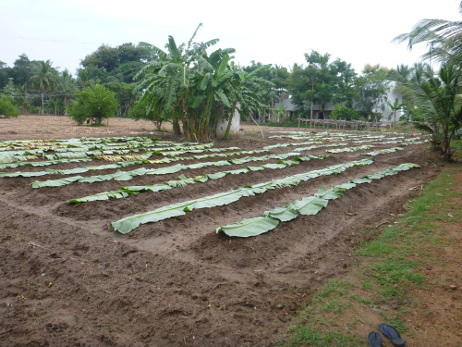 Sharana would like to move towards more and more green initiatives, the volunteers from PURPAN are supporting Sharana move towards these goals. 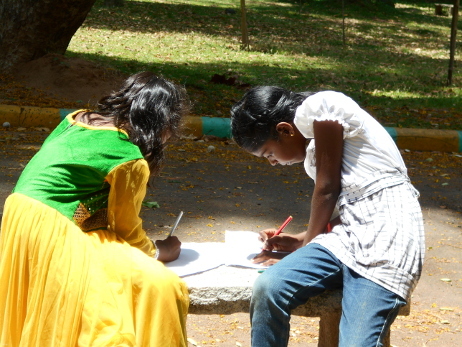 They are also working closely with Anbu, and learning immensely from their daily fieldwork.